Enel's Chisholm View wind farm. 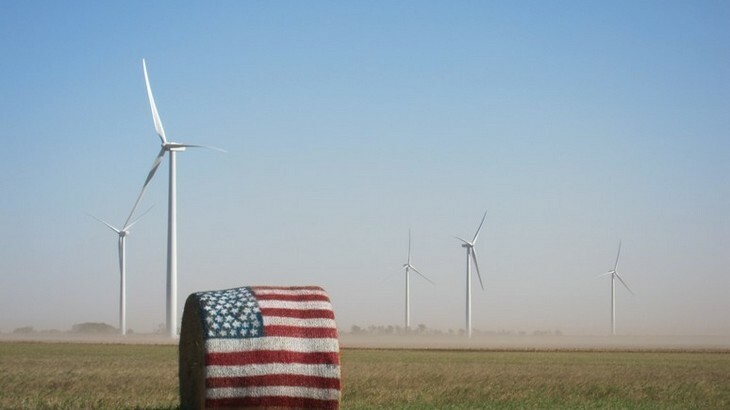 A new deal has been struck between Enel’s US renewables arm, Enel Green Power, to sell energy from its new US wind farm to Facebook, while also supporting Adobe’s growing renewable energy commitment. The Italian energy firm announced the new power purchase agreements with Facebook and Adobe for the sale of the energy generated at its 320MW Rattlesanke Creek wind farm in Nebraska. While Facebook agreed a revised deal with Enel on the original 200MW agreed last year, rising to the full 320MW capacity of Rattlesnake Creek, Adobe will purchase 10MW of the wind farms capacity from 2019 to 2028. The Enel deal with Facebook will see the Nebraska wind farm supply 100% of the social media firms data centre in Papillion, Nebraska. Rattlesnake Creek, which is EGPNA’s first Nebraska wind facility, is currently under construction and is expected to start operations by the end of 2018. Once fully operational in 2019, the 320 MW wind farm will be able to generate around 1.3 TWh annually. Antonio Cammisecra, head of Enel’s Global Renewable Energies Division, Enel Green Power, said: “We are thrilled to partner with Facebook and Adobe on this wind project and to meet their individual energy needs through a customised solution.